Our daily lives can become very busy, so busy, in fact that we sometimes tend to neglect the things we should do. Of course, in the hustle and bustle of getting everything else done, one of the most crucial aspects of our lives tend to fall by the wayside far more often that it should. That component, of course, is your car, that faithful vehicle that transports the family, brings you to work everyday, and is always there should you decide you need to go somewhere. However, more often than not, we take our cars for granted, and the fact that they need maintenance is an all too often forgotten fact. Although most do keep up with oil changes, and perform the occasional wash and wax, one of the most important things to keep a car running smoothly and for a long time is often forgotten. That element, of course, is the "tune up". A tune up typically involves a full fluid flush of your vehicle, checking all of the belts, a look at the battery, a new air filter, and maybe some other odds and ends depending on where you take the car or if you plan to do it yourself. However, if a tune up is so incredibly simple, than why does it matter so much whether or not it is done every year? To answer this, we need only to think a little bit. Every time we drive our cars, we put them under a tremendous amount of stress and subject them to a lot of wear and tear. Remember that even the simplest of car components can make a major difference when it comes to how your car runs and whether or not it is truly a safe vehicle. With that in mind, let's take a look through some of the most important vehicle components that are checked or replaced during a tune up and see what they do for the vehicles and what makes them so essential. Anyone who knows even a little bit about car engines knows that an engine needs a mixture of air and fuel to create combustion and thus provide power. However, we would not think of running a car without clean fuel, so why should we ever consider running it without clean air? Over time, the air filters in our cars can become clogged and dirty, and thus dirty air is getting into a great variety of parts in our cars, including the intake manifold, throttle body and the actual engine itself. It takes only a little common sense to realize that this is not the healthiest thing for a car. Also, keep in mind that dirty air keeps your car from running efficiently, which means that you also lose out on gas mileage. To prevent this from happening, simply locate your air filter under your hood and inspect it. If it seems to be in good shape, you may just want to wash it off, making sure that it is completely dry before placing it back in the vehicle. However, if the filter seems to be incredibly dirty, than it is definitely worth replacing it. New filters generally do not cost more than forty or fifty dollars, and the benefits you will receive while driving, and in gas mileage alone will be well worth the savings. There are a great variety of fluids within your car that keep it running at maximum efficiency. From your transmission fluid, oil, and even simpler components such as brake fluid and washer fluid. All of the liquids in your car are there for a reason, and keeping those fluids clean and properly filled help make sure that your car runs right, and does not risk breaking down at a bad time. Simply take a moment and think about the names of the fluids in your car, such as the "transmission" fluid. If you want your transmission to last a long time, and also prevent damage to your engine, than keeping enough clean transmission fluid in your reservoir is a relatively simple task. Even a routine oil change can make a major difference in your vehicle. Remember to check out everything under your hood, check all of your fluids, replace what you can, and you will find that your will run both much better and much more efficiently. The amount of life that you add onto your vehicle simply by changing the fluids is almost too great too measure. The battery in your vehicle is important for a number of reasons, and is essential for starting your vehicle and making sure some of the most important functions work. While doing your tune up, make sure to (safely) clean off your battery terminals and take a moment to think about the last time you replaced your battery. If you honestly cannot remember when, it may be a good time to head out to Wal-Mart or K-Mart and pick up a replacement. Batteries are generally not that expensive, and nonetheless it will seem like a very smart investment when your car does not leave you stranded in a cold parking lot during a particularly brutal winter day. One of the most all-around important components on your car are your tires. From gas mileage to safety, if you regularly maintain or check only one part of your car it should be your tires. Take a couple minutes while doing your tune up and check each and every one of your tires. Look for obvious defects or damages which may have occurred during every day driving, check the tire pressure, and look at the tread depth. For an easy read on whether or not your tires should be replaced, simply find a penny and stick it head first into the treads. If you can still see Mr. Lincoln's head, than it is more than likely you should replace your tires. Believe it or not, tires are not an incredibly expensive cost, and considering the risk that bad tires add to both yourself, your family and others on the road, it is a couple hundred dollars well spent. One can never put a price on safety, and make sure that your tires do not become that price. Although most drivers may have difficulty checking out their own belts and such, it is definitely worth your time to take your vehicle to a mechanic and have him do a thorough inspection. Most belts in your car are crucial to it's operation, and remember that a snapped timing belt can spell instant demise for your vehicle's engine. It should not take a mechanic long to give you some information on whether or not he feels your belts are in good shape and if they should be replaced. Belts are an area where it is important not to be greedy, replacing your belts now can save you massive amounts of trouble in the future. Almost every car owner knows that brakes are that incredibly important component that stops your car from moving. Now that we know how important brakes are, it makes sense to check them and all of their relating components, such as the brake pads, calipers, brake lines and the rotors. All of these components play a vital role in braking, which is one of the most important parts of driving. While under your car scoping out your brakes, you may also want to take a couple of minutes and take a quick look at your suspension, if you see any obvious problems that it may be time to take your vehicle to a mechanic for some suspension work. However we may feel about our cars, we nonetheless want them to run for us for a long time. Keep in mind that long life in a vehicle does not come by itself, one must make sure to take good care of a vehicle, always treating it with respect and making sure to do all of the proper maintenance. If we really wish our vehicles to run a long time, than a yearly tune up is one of the simplest, cheapest, and most effective ways to ensure that we stay safe on the roads and that our cars stay in good running shape for a long time to come. When considering the importance of vehicle maintenance, tire rotation frequency deserves as much attention as oil changes. Adhering to appropriate tire rotation frequency and understanding the appropriate tire rotation pattern for your vehicle will help ensure you get the most from your tires. Proper tire maintenance leads to long tire life, minimizes road noise issues as the tire tread wears and provides an opportunity for frequent inspection of the tires to address any developing safety concerns. For those who have read my article about oil change intervals, I recommend keeping your tires rotated every other oil change, or about every 6,000 miles. Though it’s a good idea to reference the owner’s manual for your vehicle, if the recommended interval exceeds 6,000 miles, I encourage you to stick with my 6,000 mile recommendation. Keeping tire rotation schedule tied to every other oil change helps make it easier to remember and keeps your tires performing at their best. Extended rotation intervals generally lead to uneven tread wear, resulting in excessive road noise or safety concerns. Equally as important as rotation frequency is the rotation pattern. The vast majority of vehicles on the road today have four radial tires of the same size on all four corners. These vehicles will benefit from a standard “cross” rotation pattern, with a forward cross being used for front wheel drive vehicles and a rearward cross being used for rear wheel drive and four wheel drive vehicles. With the forward cross, the two front tires are moved straight back, remaining on the same side of the vehicle (e.g. left-front to left-rear) and the rear tires are crossed to the front (e.g. right-rear to left-front). The rearward cross is just the opposite. The rear tires are moved straight forward and the front tires are crossed to the back. Some tires are undirectional, meaning that they are designed to rotate in one direction only. These tires can only be rotated front to back and vice versa on the same side of the vehicle. Some vehicles have different size wheels and tires between the front and back but the tires can rotate in either direction. These tires can only be rotated side to side on the same end of the vehicle (e.g. left-front to right-front). Finally, some vehicles have different size wheels and tires between the front and back that are also unidirectional. These tires cannot be rotated. Anytime you rotate your tires, be sure to check and adjust tire pressure as necessary. Additionally, inspect the tread closely for any abnormal wear. The tread should be wearing uniformly and evenly. Any “feathered” edges or wear that is uneven in appearance can indicate the need for other vehicle repairs, including: shocks and struts, wheel alignment, or even something more serious, such as a ball joint or tie rod end. Additionally, check the depth of the tread to ensure there is sufficient tire tread remaining. Tires should be replaced when there is 4/32” or less of tread remaining. More on determining the correct tire pressure for your vehicle and measuring tread depth in upcoming articles! Changing the oil in your vehicle is a cumbersome task. Every three thousand miles you have to remember to schedule an appointment and then head to the nearest mechanic center. Then, while you are getting an oil change, it seems to take forever leaving you wondering if the hassle is even worth it. If you chose to live your life by this mindset, it will not take a fortuneteller to predict some of the difficulties your car may face in the future. Some difficulties you may face include but are not limited to, engine failure, poor gas mileage and an overall detrition to your car. Getting an oil change is an essential part of owning a car, but at Good to Go Markets, we like to alleviate some of the stress that you may feel to ensure that your car that your car gets the proper care it needs. - Use a synthetic / conventional oil blend or an all-synthetic oil. This can extend the time between oil changes and give your engine better protection. - Schedule your 30, 60, or 90,000-mile check-up at the same time that you have your oil change. By consolidating your visits, you will cut down on down time and keep a routine that is easier to remember. - Check your tire pressure. This seems like a simple thing, but many people waste a lot of fuel and put more wear and tear on their car. Proper tire air pressure makes the car more efficient and cuts down on the amount of work that then engine has to do. - Use you Air Conditioning! That is right, many people think that your car will save gas if you do not turn on the AC, but the opposite is actually the truth. Keeping the windows up, cuts down on drag and makes the car more efficient. More efficiency, means less wear on the engine. Visit our Hickory Ridge location today and keep your car running great longer! Stop in anytime to have your oil changed or utilize any of the other mechanical services we offer. At Hickory Ridge Automotive, we can perform all of your cars regular maintenance work and our car washes have up to four types of washes to keep your car shiny and new. After you get your oil changed, make sure to get your gas tank filled at our Good to Go Market gasoline stations. Follow us on Facebook, Twitter, LinkedIn, and Pinterest for up to the minute deals and information about the products and services we offer! Can I use winter tires all year to save money? My mom drives keeps her winter tires on all year. She says if they work in the winter, they should work fine all year. Can you tell her she’s wrong? Since she doesn’t want to change tires, I think she should just keep all seasons on all year. I worry that she’s ruined her winter tires by using them in the summer and that she’ll slide through intersections now that it’s freezing again. Should I be worried? Our summers are short in Canada, but not that short. If you keep winter tires on 12 months a year, you’ll not only have to replace them sooner, but you could be risking your car’s ability to stop in the spring, summer and fall, experts say. Whether or not your mom’s winter tires are safe for this winter will depend on how much tread depth they have left – but Consumer Reports say their tests show winter tires are potentially worse at stopping on dry and wet summer roads. In the magazine’s comparison tests of 2012 tires on a Chevy Cruze, it took winter tires about 24 feet (7 metres) further, on average, to stop compared to all-season tires when travelling at 60 mph (96.5 km/h) on a dry track in normal temperatures. During the same test on a track sprayed with a thin layer of water, winter tires took about 31 feet further to stop. When braking on ice from 10 mph (16 km/h), winter tires stopped at least 7 feet (2 metres) shorter, on average, than all-season tires. The best winter tire stopped about 15 feet (4.5 metres) shorter than the average all-season tire. Winter tires were also better at accelerating through snow – they measured the distance it took the test car to accelerate from 5-20 mph (16-32 km/h) on moderately packed snow, like what you’d get on a well-travelled winter road. Then again, this is just one set of tests. There was a controversy in Quebec – where, by law, winter tires are required on all cars between Dec. 15 and March 15 – over whether winter tires were less safe than all seasons on summer roads. A study by the Quebec Provincial Police showed no significant difference, says the Canada Safety Council “The difference was marginal,” says Raynald Marchand, general manager of the Canada Safety Council. The bigger question this time of year is whether you should keep on all seasons or switch to winter tires. The Canada Safety Council and the Automobile Protection Association both recommend switching to winter tires (tires with the mountain snow flake label on the side) when the temperature drops. “The difficulty with all-season tires is: at about 7C, an all season tire’s rubber compound starts to lose traction,” says Marchand. The rubber in all-season tires gets hard – think of a hockey puck – as it gets cold. The rubber in winter tires is designed to stay supple to –40C If you live somewhere in Canada without much snow (it’s a short list), or if you’re only driving occasionally on well-plowed roads – you might be able to get by with keeping all seasons on all year. “Winter tires excel in snow but in my experience you give up dry road grip and precision,” says Mac Demere, a freelance automotive writer. “The closest I’ve lived to Canada was Denver, and they were mostly pretty good at getting roads plowed. But I skied then, so I put on winter tires,” he says. Demere, a former race car driver who did road tests for Michelin and Car and Driver magazine, says tires are tied with brakes as the most important safety device on your car – they’re not something to skimp on. “Buying high quality tires is basically buying cheap insurance. It’s a lot easier to avoid a crash than it is to survive one,” he says. You need to have four winter tires, not just two, and Demere recommends having a dedicated set of wheels for winter tires. Whichever tires you choose, they need to be kept at the correct tire pressure for your vehicle. That’s not the number on the side of the tire, which is the maximum the tires can hold. Instead, look in the manual – if it’s not there it will be on a sticker somewhere on the vehicle, usually on the pillar next to the driver’s-side door, Marchand says. How long will tires last? It depends on where and how you drive them, Marchand says. “In Canada, provincial and federal regulations say tires have to have at least a 2 mm tread depth,” says Marchand. The APA recommends checking wear by sticking a quarter in the trench between the treads. New winter tires are between 10/32 and 13/32 inches (8mm – 1cm) deep – if the tire covers the caribou’s nose, it means you still have at least 6/32 – 5/32 of an inch (4-5 mm) of tread left and the tires will probably last for another 10,000 km, the APA says. The most important thing to remember when test driving a used car is you are the customer. That's how you test drive a used car. The customer is always right. You set the agenda when it comes to your test drive – not the sales rep or the owner if it’s a private sale. If any aspect of the test drive makes you feel uncomfortable – walk away. Trust your gut feelings. Preparation is key. Make sure you’re an informed used-car shopper before taking the test drive. A little homework will put you in a used car that exceeds your expectations. Also, this isn’t the time to diagnose problems. That’s not your goal in a test drive. You want to identify problems for your mechanic to inspect and offer solutions, including price. Don’t try to solve a car’s problems during the test drive. Map Out a Driving Route: Don’t drive haphazardly and don’t let the owner direct the trip. Google Maps and Mapquest can help you out. Make the test route a mixture of local streets, highways, and a big empty parking lot. A long highway on-ramp is a good place for testing a vehicle’s acceleration. Also, pack a notepad or recorder. They help you remember what you liked and disliked. Plus it can remind you what you want your mechanic to inspect. Don’t bring the family along: They’ll be too distracting. Do bring along a spouse or partner who is sharing in the decision-making process. If you have young kids, bring along car seats or booster seats to check their fit. Just don’t bring the kids. You need to devote 100% of your attention to the test drive. Make It Last: Negotiate how long the test drive can be. Shoot for at least a half-hour. It’s unlikely the owner will let you fly solo, but it’s worth a shot. Also, ask for all the records of the car, including the owner’s guide and maintenance records, and make sure the basic tire changing tools are still with the vehicle. Walk around the car: Look for chips in the windshield or excessive body wear. (There will be some chips and scratches on almost all used vehicles.) Lots of chips and scratches along the wheelbase could indicate it was driven in less than ideal conditions. Make sure the tires are properly inflated. Pop the trunk: Does it fulfill your storage needs? Open a grocery bag to see if it fits. Check if the trunk meets your recreational needs, too. Don’t drag along your golf clubs, but a tape measure would come in handy. Also, look for signs of leaks. Ask if the backseat folds for more space – and then make sure it does. Clear the Air: Take down the air freshener if it’s hanging from the rearview mirror. Put it in the glove compartment. Once you’ve finished driving, give the vehicle a good sniff test. Don’t be afraid to put your nose to the seats to see if any odors have sunk in. The White Glove Test: Look the interior over for any spots or stains. Odds are they’re set for life if the owner hasn’t cleaned them up. Hop in and out: Hop in and out a few times. Get a feel for how comfortable this is for you and how well the doors open and shut and how heavy they are. See if it’s easy to reach the door handle. Climb in the backseat, too. See if the vehicle’s going to be a good people hauler if that’s important to you. Hop in the driver’s seat: See if you can set the seat to your comfort. Are power seat buttons easy to operate when the door is closed? Don’t compromise. You’ll be spending tens of thousands of miles behind the wheel. Nothing short of perfect should do. Fiddle with the controls: Adjust the mirrors. See if the radio and air conditioning controls are within easy reach. Adjust the steering wheel: Does it tilt and telescope? Does the position fit you comfortably? Do the redundant audio and cruise control buttons work? Test the A/C and heat: Make sure they blow cold and hot. Test cold before heat because it takes a while for an engine to warm up. Cold air should blow in less than a minute. Bring the temperatures to their extremes. Check the vents to see if they close and open smoothly. Hop in the backseat to make sure the systems work back there, too. Get a feel for the transmission: Does the car shift easily from park to drive if it’s an automatic? A loud clunk doesn’t mean there’s a problem per se, but make a note so your mechanic can check it out. A manual transmission should shift easily among the gears. The clutch should also engage the transmission easily. Turn the key: It’s something you’ll do at least twice a day for as long as you own the car. See if the car starts easily: not just how it turns over, but how much effort is needed to turn the key. Also, see how easy it is to remove the key. Finally, make sure the seller has two sets of keys and even a valet key. Keys can be expensive to replace. Drive responsibly: Don't jackrabbit from the start. You’ll make the owner nervous and probably scotch the sale. However, don’t hesitate to do it once you’re comfortable with the vehicle. Just warn the owner. Drive a mixed route: Look for how well the car merges onto the highway. See what visibility is like on local streets. See how easy it is to view traffic signals. The steering: When you turn the steering wheel does it respond promptly? Or, is there some delay in response? There should be no play in the steering wheel. Hit the brakes: Find a quiet area, get the car up to the maximum legal speed, and jam on the brakes. See if the car pulls to the left or right. The brake pedal should have a firm feel. Soft or squishy brake response should be checked out. ABS brakes will act differently. Check the alignment: When safe to do so take your hand off the wheel and see if the car pulls in one direction. Do this a couple of times on different road surfaces. This test indicates potential front-end alignment issues. Find a bumpy surface: It could be an unsmooth road or a parking lot with speed bumps. See how the car responds after hitting bumps. It should’t wiggle like a bowl of Jell-O. Keep your mouth shut: This is an old journalism trick that works with used car buying. People hate silence. It makes them want to talk. You’d be surprised how often owners will start talking about problems with the vehicle when a squeak or rattle presents itself. Play the stereo briefly and crank it all the way up to see if there is any distortion in the speakers. Go parking: Take the car into a parking lot. See how easy it is to park. (Urban dwellers should also parallel park the vehicle.) Parking lots can be a good low-speed indicator of a vehicle’s visibility. Problems at 5 mph multiply exponentially on a busy highway. If you haven't purchased new tires before, the prospect can seem challenging. With so many things to consider, it may be hard to know where to begin. This guide will outline all of the essentials – from understanding the most basic differences between all season, performance and winter tires to reading your tire sidewall information to ensure that you purchase the right size and type of tires for your vehicle. As the name suggests, all season tires are designed to provide safe driving over a wide range of conditions. The advantage to all season tires is that they can remain on your vehicle spring, summer and fall, but may not be suitable in cold temperatures or snowy weather. They also provide a quieter ride than winter tires. Dedicated summer tires will improve the performance and aesthetics of your vehicle. Performance tires are designed for handling and stability, which can result in a stiffer tire. This may affect the comfort of your ride. The tread is also wider to provide more contact with the road and better dry traction. The special compound used enhances performance but may not provide the same tread wear as all season tires. Winter tires use special compounds to improve your traction, stopping and handling whenever the thermometer dips below 7°C/45°F. Although all weather tires are good in many conditions, they don't provide the same grip and control that winter tires can in cold or snowy weather. On the sidewall of every tire, there's a great deal of information that identifies its construction and capabilities. P Service type: Indicates this is a passenger vehicle tire, as opposed to a tire made for a light truck (LT) or other vehicle. 185 Section Width: The width of the tire in millimetres from sidewall to sidewall. This measurement varies depending on the width of the rim to which the tire is fitted: larger on a wider rim, smaller on a narrow rim. The number on the side of the tire indicates the width measured with the tire fitted to the recommended rim width. 75 Aspect Ratio: The ratio of height to width. This tire's height is 75% of its width. R Internal Construction: How the plies are constructed in the tire carcass. "R" means radial. "B" in place of the "R" means the tire is belted bias construction. "D" in place of the "R" means diagonal bias construction. 14 Rim Diameter: The diameter of the wheel in inches. 82 Load Index: This tire has an industry-standard maximum load of 475 kg (1,047 lbs.) Different load index numbers correspond to different maximum loads. The maximum load is shown in lbs. (pounds) and in kg (kilograms), and maximum pressure in PSI (pounds per square inch) and in kPa (kilopascals). S Speed Rating: This tire has an industry-standard maximum service speed of 130 mph. Different letters correspond to different maximum service speeds. The mountain/snowflake symbol indicates a Severe Snow Conditions rating—the safest tires for any kind of winter driving. These tires have been designed specifically for use in cold weather and severe snow conditions, and have been performance tested as meeting or exceeding industry established snow traction performance requirements. See our Winter Tires Guide for complete details. The M+S (also displayed as M&S or M-S) indicates the tire has all-season capabilities. Tires bearing this mark offer great traction and can be used in rain, snow, and muddy conditions. This designation indicates a specified tread-to-void ratio; however it does not mean that the tire has passed any road tests ensuring effectiveness in severe winter conditions. All the winter tires sold at Canadian Tire will accept winter studs. Note that there are different provincial rules and regulations for the use of studded tires. Maximum Inflation Pressure is the highest inflation pressure that the tire can withstand. This is not, however, the recommended inflation pressure. Inflation pressures should never be below the pressure recommended by your vehicle manufacturer or above the maximum pressure branded on the tire's sidewall. Tire Tread - The flat area of the tire that contacts the road surface. A tire's tread construction determines the adhesion characteristics of the tire in all driving conditions. Tire Bead - The narrow band that anchors the tire to the rim and maintains a leak-free seal. This area transmits acceleration, turning, braking and all other forces between the vehicle and the road. Tire Sidewall - The vertical portion of the tire that extends from the road surface to the bead. Sidewall construction and depth affects the ride and handling of the tire. A narrow, stiff sidewall offers more responsive steering, but a deep, supple sidewall will flex to provide a smoother ride. Tire Shoulder - The curved region where the vertical sidewall of the tire meets the horizontal tread. one circumferential cap ply of nylon cord. It also identifies that in each sidewall lies two radial body plies of polyester cord (a continuation of the same two radial body plies that were listed under the centerline of the tread). Some construction information may not be indicated in the branding for tires. Many high-speed tires are constructed with circumferential reinforcements above the steel belts. These belt edge strips or full cap plies are not under the centerline of the tread, so this information won't be indicated in the branding for the tread area. Ultra high performance tires may also use fabric or steel cord reinforced sidewalls to increase steering response and cornering stability. However, since this sidewall-reinforcing material is not present at the widest points of the tire's sidewalls, this information won't be indicated in the branding for the sidewall area. In addition to the construction branding and ratings, tire sidewalls can include stripes, bands or lettering that give a tire a distinctive look. Below is a quick legend of notations used for describing the appearance of a tire's sidewall. The tire size branded on the sidewall provides a significant amount of information about the tire's intended purpose, dimensions, load capacity and high temperature/high speed durability. Our primary example will be based on variations of P185/75R14 82S, although other sizes will appear where appropriate. P = Tire sizes that begin with a P indicate the tire is a P-metric size. These tires are designed for passenger vehicles such as cars, minivans, SUVs and light duty pickup trucks. If there isn't a letter preceding the three-digit numeric portion of a tire size, it signifies the tire is a Euro-Metric size, sometimes just referred to as Metric. Euro-metric sizes are dimensionally equivalent to P-metric sizes, but can subtly differ in load carrying capabilities. LT = Tire sizes beginning with LT indicate Light Truck-metric size tires designed for use on vehicles capable of carrying heavy cargo or towing large trailers. This includes medium and heavy-duty pickup trucks, SUVs and full-size vans. LT = If a tire size ends with LT, it indicates the tire is either an earlier Numeric, Wide Base or Flotation Light Truck size. Numeric sizes are designed for use on vehicles that are capable of carrying heavy cargo and towing trailers. Wide Base sizes use 16.5-inch diameter rims. Flotation sizes are wider, oversized tires designed to help the vehicle drive on top of loose dirt or sandy surfaces. The three-digit numeric portion following the service type designation identifies the tire's Section Width (cross section) in millimetres. This tire is 185 millimetres across from the widest point of its outer sidewall to the widest point of its inner sidewall when mounted and measured on a specified width wheel. You can convert the section width measurement to inches by dividing the measurement by 25.4. 185 mm / 25.4 = 7.28"
Typically following the three digits identifying the tire's Section Width is a two-digit number that identifies the tire's aspect ratio or profile. A lower profile tire will have a shallower sidewall, providing enhanced handling and responsiveness. The 75 indicates that this tire size's sidewall height (from rim to tread) is 75% of its section width. The measurement is the tire's section height, and also referred to as the tire's series, profile or aspect ratio. The higher the number, the taller the sidewall; the lower the number, the lower the sidewall. We know that this tire size's section width is 185 mm and that its section height is 75% of 185 mm. By converting the 185 mm to inches (185 / 25.4 = 7.28") and multiplying it by 75% (.75) we can determine that tire section height is 5.46". Following the two digits to indicate aspect ratio, a letter is used to identify the tire's internal construction. The R size identifies that the tire has a Radial construction, in which the tire's body plies "radiate" out from the imaginary center of the wheel. Radial tires are by far the most popular type of tire today representing over 98% of all tires sold. If there was a B in place of the R (P185/75B14), it would indicate the tire features belted bias construction. If the R in the size was replaced with a D (P185/75D14), it would identify that the internal tire body plies crisscross on a Diagonal and that the tire has a "bias ply" construction. Tires using this construction are used for light truck and spare tire applications. Following the internal construction, a number indicates the bead of the tire, and the required wheel size. The 14 indicates the tire is designed to be installed on 14 inch diameter rims. Most commonly, tires express the rim diameter in whole inches ranging from 8 to 28. While not as common, two additional "unique" types of tire/wheel diameters are still in use today. Some heavy-duty trailers, heavy-duty light trucks and box vans have a tire and wheel rim diameter expressed in "half" inches (8.00R16.5LT, as well as, 14.5, 15.5, 17.5 and 19.5). Some integrated wheel/tire systems are in use on a very limited basis as Original Equipment in North America. These systems feature "asymmetric" beads in which the outside bead and inside bead are actually different diameters. Wheels and tires with unique rim diameters should never be combined with traditional "inch rim" wheels and tires. These unique tire/wheel diameters feature bead profiles that have a different shape than traditional "inch rim" sizes, and were developed specifically because their application required them to be different than conventional wheels and tires. Always confirm tire and wheel diameters match before mounting the tire on the wheel. Following the tire and wheel diameter, two numbers and a letter indicate the Load Index and Tire Speed Ratings, also known as its Service Description. 82 indicates the Load Index and S indicates the Speed Rating. Typical load indexes for tires used on passenger cars and light trucks range from 70 to 110. Tires are engineered to withstand a maximum load and inflation pressure. These maximums for tires are branded on the sidewall of all tires sold in North America. Passenger vehicles specify the load ranges while light trucks use letter-indicated load ranges that ascend in alphabetical order. Prior to using load ranges, ply ratings were used, indicating the relative strength of tires by identifying the actual number of plies used in the tire's construction. Because tire construction has changed over the years, load ratings were developed to indicate the equivalent strength as compared to early bias ply tires. This branding identifies that the tire in this example must be capable of, and be rated to carry 475 kg (1,047 pounds), and that the maximum tire inflation pressure for this tire is 300 kPa (44 psi). Tire pressures are most commonly measured in p5si—pounds per square inch, Kilopascals (kPa) or bars of pressure (bars). The maximum load rating for the tire is based on industry standard tire load pressures—not the maximum tire pressure specific for the tire. It's worth noting that Standard Load Range tires may not indicate a load range on the tire. It's also important to note the optimal tire pressure for your vehicle is determined by the vehicle itself, not by the tires. To determine the recommended tire pressure for your vehicle, consult the tire information placard (usually found on the driver's door or doorjamb) or your owner's manual. Light truck tires and trailer tires are branded with their load range (Load Range E or LRE) or their ply rating (10 Ply Rated) on their sidewalls and also list their appropriate load range letter in their descriptions. When changing tire sizes or converting from one type of size to another, it is important to confirm that the new tire's rated load capacity is sufficient to carry the vehicle's Gross Axle Weight Ratings—one way to do this is to ensure the Load Index of the new tire is equal to or greater than the Load Index of your original tire. Tire tread design consists of the blocks, ribs, grooves, and thin sipes moulded into the tire. These designs incorporate features to fine-tune noise, direct moisture, and provide all-important traction for your vehicle. Several basic designs help meet the conditions you'll face on the road. Symmetric Tread Patterns feature the same tread blocks across the entire tread face, and allow multiple tire rotation patterns. Asymmetric Tread Patterns change across the face of the tire, and are designed to blend the surface contact needs for dry grip and tire tread depth required water dispersal or snow traction. The outboard side of the tire may feature larger tread blocks for stability and cornering on dry roads while the inboard side may feature smaller independent tread blocks to channel moisture or to aid traction in winter while driving straight ahead. These tread patterns allow using multiple tire rotation patterns. Directional (Unidirectional) Tread Patterns are designed to roll in only one direction. The lateral grooves with v-shaped tread blocks pump water more efficiently through the tread pattern to enhance hydroplaning resistance at high speeds. Directional tires are to be used on only one side of the vehicle and are intended to be rotated from the front axle to the rear axle. When you buy tires, you may notice on a new set of tires that the tread itself has several lines numbers and letters. These codes are left over from the tire production process. At once stage of tire production, the tread compound is prepared by extruding or squeezing warm rubber into a metal die to create a slab of tread compound cut to the precise circumference of the tire. Thousands of these slabs are produced every day, so the slabs are often marked and coded prior to moulding, to indicate the specific tire model and production lot. These slabs are then applied to the tire and moulded. The coding can still be seen on the surface after moulding, with some of the coding squeezed all the way down to the bottom of the tread grooves. When developing tires, vehicle manufacturers will ensure the tires they use provide what they feel is the best driving and handling experience for their vehicles. Tires contribute enormously to the feel of a vehicle—its ride, handling and performance. Vehicle manufacturers understand this, and so select tires which will provide a smooth ride, responsive handling, or sporty performance, depending on the driving profile they are creating for their vehicles. Manufacturers must play a balancing act in an effort to determine the ideal blend of features and performance to provide optimal results on the road. The OE tires for fuel efficient vehicles will be engineered for increased efficiency while OE tires for sports vehicles will focus on handling and performance. While technology continues to increase capabilities on all these facets, the "best" tires will always be a compromise. This is because one set of attributes can be directly opposed to another set of attributes. For example, a tread that increases traction will reduce rolling resistance and efficiency. A stiff sidewall that improves handling responsiveness will reduce the smoothness of ride. Uniform Tire Quality Grade (UTQG) standards were developed to equip consumers with information to compare tires based on relative treadwear, traction and temperature capabilities. These gradings are used mostly for all season tires for passenger vehicles. They are not required for deep treaded light truck tires, winter tires, temporary spare tires, and other select tires. The UTQG ratings are assigned by the tire manufacturers based on their test results or those conducted by an independent testing company they have hired. UTQG Treadwear Grades are based on actual road use, comparing the test tire's performance to the performance of standardized monitoring tires over a 7,200 mile (11 600 km) course. The tires are compared at the end of the course, and the grade indicates how long the test tire will last in comparison to the test tire. For example, a grade of 200 would indicate the test tire would last twice as long as the monitoring tire. UTQG Treadwear Grades are open to some interpretation on the part of the tire manufacturer. The grades are assigned after only a short period of treadwear. When the raw data is extrapolated, results may differ depending on how optimistic the calculations are. While comparing the Treadwear Grades of tire lines within a single brand may be helpful, the figures may not be as useful for comparing across different brands. UTQG Traction Grades are based on the tire's straight line wet coefficient of traction as the tire skids across a test surface. The UTQG traction test does not evaluate dry braking, dry cornering, wet cornering, or high speed hydroplaning resistance. Test tires are installed on an instrumented axle of a "skid trailer" which is pulled behind a truck at a constant 40 mph (65 km/h) over wet asphalt and wet concrete test surfaces. The axle's brakes are momentarily locked and the axle sensors measure the tire's coefficient of friction (braking g forces) as it slides. Since this test evaluates a sliding tire at a constant speed, it places more emphasis on the tire's tread compound and less emphasis on its tread design. The UTQG Temperature Grade indicates the extent to which heat is generated or dissipated by a tire. The grade is established by measuring a loaded tire's ability to operate at high speeds without failure by running an inflated test tire against a large diameter high-speed laboratory test wheel. This laboratory test is similar to those used to confirm a tire's speed ratings, though the details do differ. Everytire sold in the United States must be capable of earning a "C" rating which indicates the ability to withstand 85 mph (137 km/h) speeds. Low rolling resistance tires feature reduced weight, thinner sidewalls, shallower treads and low rolling resistance designs and tread compounds, all of which increase the fuel efficiency of your vehicle. A high performance replacement radial tire could increase rolling resistance on a vehicle by as much as 20%. It should be noted that rolling resistance only accounts for one facet of your vehicle's fuel efficiency. With city driving, tire rolling resistance accounts for about 15% of a vehicle's fuel efficiency, and with highway driving, this number is closer to 25%. So the impact of 20% more rolling resistance would be a drop in fuel economy of 3% in the city and 5% on the highway. This may not be significant enough to notice at the pumps, but over a longer time period such as a year, this difference may be enough to make the purchase of low rolling resistance tires a cost-saving measure. The rolling resistance of your tires will also gradually drop over the tire's lifespan by about 20%, as tire tread depth becomes shallower and rubber hardens over time. While you are unlikely to notice the slow increase in fuel efficiency, you may notice the small decrease in efficiency with the sudden change from old to new tires. You can reduce the rolling resistance of your tires by ensuring they are properly inflated. Under-inflated tires have increased rolling resistance and decreased fuel economy. You may find this interesting to consider: your calculation of fuel efficiency can be thrown off by the subtle difference in tire circumference between new and old tires. A vehicle's odometer works by measuring the number of revolutions of your car's tires, so a tire with worn tread will give a slightly higher odometer reading than a new tire, because the diameter of the worn tire will be slightly smaller. Since fuel economy is calculated by the amount of fuel used to travel a set distance, the shorter distance reading given by new tires will make the fuel economy slightly worse than it actually is. Tires identified as the same size may vary in actual size, depending on the manufacturer. This small variation, much like the difference between worn and new tires, can be enough to appear to reduce fuel economy. These small differences are enough to significantly change the results of your calculations. Make sure your car is ready to face long road trips in the summer heat. Car owners used to set their tune-up schedules by the calendar; the arrival of spring and fall meant bi-annual trips to the garage. But with today's automobiles, seasonal schedules don't always coincide with your car's needs. 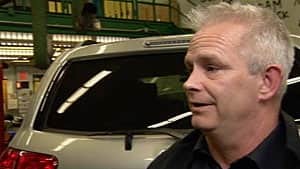 Randy Loyk, manager of technical services for the Alberta Motor Association, says that today's car buyers should follow recommended maintenance intervals in the owner's manuals, which dictate visits to the service centre every 60,000 to 100,000 kilometres, rather than based on the calendar page. And doing that is your best bet to hazard-free driving. "If the owner is diligent about following the owner's manual, she'll have few problems with today's automobile," Loyk reports. Common sense is key to automobile ownership. Other than regular maintenance appointments, you should keep a few other things in mind before heading out on a road trip in the summer heat. "The most important thing you need to look at is the tires," he emphasizes. "Get down on your knees and take a good look at the rubber." Loyk, who oversees all AMA-approved auto repair shops and emergency road service contractors in Alberta, says you need to be sure the tires are properly inflated, and the tread is wearing evenly. If the tread is uneven, it means you've got an alignment problem and it's going to cost you at the pumps. Buy a tire pressure gauge and take the reading when the tire is cool, since pressure rises when it's heated up from driving. Loyk also notes that highway cruising can really tax your automobile's engine, so you want to make sure your coolant system is up to snuff. Ensure the belts and hoses are in good shape. If there are any cracks or tears, it needs replacing. Check too if the belts need to be tightened. Your oil level is important and key to smooth engine performance. Maybe it needs to be changed – have a look by pulling the dipstick: If it looks black, it's dirty – clean oil should be a translucent light-brown colour, and should be changed about every three months or 5,000 kilometres. But, as Loyk points out, these are all things we as automobile owners should be doing on a regular basis anyway, and not just because we're heading out on a long trip. TORONTO (Bloomberg) -- Ford Motor Co., Canada's top-selling automaker, is confident it can preserve its manufacturing profile in the nation despite unfavorable operating costs tied to the high Canadian dollar, the company's lead executive for the country said. "We are optimistic despite the Canadian dollar where it is," Dianne Craig, chief executive officer of Ford Canada, said Tuesday during the Bloomberg Canada Economic Summit in Toronto. "So it's between the business partners that we have, certainly the government, that will enable us to at least keep the footprint that we have today." Ford says it pays its richest wages and benefits in the world to workers in Canada, where it has retrenched to just one assembly plant. The U.S. automaker is working on an investment plan for its Oakville plant, outside Toronto, though it's "not ready for prime time yet," she said. While Ford mulls a fresh investment in Canada, General Motors is shifting production from the country as its currency trades at about parity with the U.S. dollar, from as low as 62 cents in 2002. GM said in December that it will make the next-generation Camaro sports car in Lansing, Mich., and stop output in Oshawa, Ontario. Ford's Oakville factory currently makes the Ford Edge and Flex and Lincoln MKX and MKT. Ford in 2011 closed its St. Thomas, Ontario, plant that made the Ford Crown Victoria and Lincoln Town Car sedans. Automotive companies invested about $43 billion in North America from 2010 to 2012, of which $2.3 billion, or 5 percent, was pegged to Canada, according to the Center for Automotive Research. The United States and Mexico received $3.7 billion each last year, while Canada took about $200 million, the Ann Arbor, Mich.-based researcher said. The disconnect between healthy Canadian auto sales and its share of global auto investment is worrying, Dennis DesRosiers, president of DesRosiers Automotive Consultants Inc., said at the event. Auto sales in Canada are on pace to climb for a third consecutive year, with deliveries rising 1.4 percent through April to 527,019, according to DesRosiers. Sales rose 5.7 percent last year to 1.68 million. "From a North American perspective, I've never been more optimistic," said DesRosiers. "What's different is that Canada doesn't seem to be participating in the upside." For decades, Canada typically got 15 percent to 20 percent of assembly-plant investment, said DesRosiers. "In the assembly sector we're lucky to get 4 or 5 percent, it's all going to Mexico, the U.S. South; in the parts sector it's even less." Changing your oil can stay on your to do list for a much longer time than it should. Changing your oil is crucial and should be one of your top priorities. One thing that always seems to be on everybody’s to do list is changing the oil in their cars. It is just one of those things that is a daunting and time consuming hassle. Though we all know that it’s something we should get around to doing more times than we’d like to admit, that dashboard light stays on for an extended period of time. It is very important not to put it off for long. Changing your oil on a regular basis is arguably to keep your car at peak performance and maximize the life of your car, maximize horsepower and make sure all cylinders are firing. Although this is all well and good, the real reasons you should change your oil is the significant damage that not changing your oil can inflict on your car. The oil lubricates all moving parts and not changing your oil can have serious consequences on your engine. By not having oil, or only having oil that is no longer good due to dirt build-up, you run the risk of having moving parts jam, not work properly or fail alltogether. or you can have a professional mechanic do it. Because of today’s rules and restrictions regarding the disposal of oil, I would recommend having a professional mechanic change your oil. Don’t negate the importance of changing your oil. Especially now that the summer is right around the corner, you want your car running to its full potential. Some Canadian car shoppers are getting duped into buying an expensive and ineffective car theft deterrent, says one automotive expert. During an investigation of Globali, a Canadian company touting itself as a leading “vehicle registration, protection and recovery network,” CBC’s Marketplace found car buyers may pay between $400 and $700 for a service that expert Mark Whinton says is a just a cash grab. Whinton estimates the Globali service costs the dealership between $50-$70 to install per vehicle, but he's seen dealers charge the customer as much as $700. He says the entire system misleads customers starting at the point of purchase, since some dealers tack it on as an extra cost without telling the buyer, or say that it’s a mandatory add-on. Dan Ormond unwittingly paid $399 plus tax for Globali when he bought his Jeep in 2011. For all that extra cash, car owners are left with a weak deterrent. Globali’s system consists of small stickers placed throughout the car which, if removed, leave unique registration numbers readable with an ultraviolet light. Marketplace’s investigation found multiple flaws in the system, starting with the stickers. Whinton says the Globali numbers are essentially redundant. Even if the numbers were useful, Marketplace also found they’re easy to remove; Whinton was able to erase the numbers with a quick rub of sandpaper. The numbers aren’t very useful even if they’re intact, since many police departments don’t use Globali to recover stolen vehicles. Watch Marketplace's episode, The Busted Edition, Friday at 8 p.m. (8:30 p.m. in Newfoundland and Labrador). The company’s website says it “unites vehicle owners, dealers and law enforcement agencies,” but Marketplace found that many police agencies aren’t even aware of the service. Marketplace contacted police departments in Winnipeg, Montreal, Regina, Halifax and Calgary, all of which said they’d never heard of Globali. A Toronto police spokesman said he was aware of it but never used it, while another in Vancouver said he would use as a last resort. DETROIT (Reuters) -- Canadian sales rose for the three Detroit automakers, led by strong sales for pickup trucks. Ford Motor Co. was the top-seller in Canada in April as sales rose 16 percent to 27,907 vehicles. Chrysler Group LLC was second, at 25,745 vehicles, up 5 percent, barely edging out General Motors Co. at 25,071 vehicles, up 19 percent. Total light vehicle sales in Canada rose 9 percent in April from a year earlier, an industry analyst told Bloomberg. Sales gained to 171,807 units, DesRosiers Automotive Consultants Inc. said in an e-mailed report today. Ford reported gains of 53 percent for its F-150 pickup truck, and a rise of 38 percent for the F-Series lineup of pickups. For GM, large pickup trucks gained 15 percent, and accounted for more than a third of the company's Canadian sales. The trend in Canada for strong pickup truck sales matched that of the U.S. market for April. In the U.S. market, boosted by strong pickup truck and sport-utility sales, the three Detroit automakers each showed double-digit sales gains in April. Toyota Motor Corp. sales rose 7 percent to 20,089 vehicles, Honda Motor Co. sales rose 20 percent to 15,343 vehicles, and Nissan Motor Co. gained 17 percent to 8,078 vehicles. Hyundai Motor Co., down 6 percent at 13,517 vehicles, and its corporate sister Kia Motors Corp., down 5 percent at 7,581 vehicles, have lost a half point of Canadian market share so far this year, DesRosiers said. Germany's Volkswagen AG saw an 11 percent rise in sales to 6,248 vehicles while luxury brands BMW, up 1 percent, and Daimler's Mercedes-Benz, down 14 percent, were market laggards. Smartphones as car keys? Bring it. A lot of smart people have been imagining a world where our iPhones, BlackBerries and Samsungs handle innumerable routine daily tasks. But the one that caught our attention is the push to have phones act as keys to our cars. The rush to use our smartphones for everything from flight check-in to purchasing groceries is making everyday tasks far simpler than it’s ever been. Surely it can’t be long before the one device in our pocket does it all. Some automakers, particularly those with electric models, already have apps that monitor various aspects of electricity consumption and other vitals. Chevrolet, Buick, GMC and Cadillac mobile apps powered by OnStar allow owners to remotely activate all functions available on a traditional key fob, including remote start, horn and lights and door unlocks securely from select smartphones. There are other apps that monitor fuel use, help monitor traffic in real time, in addition to the plethora of apps for navigation, music, phone and entertainment. But unlocking and locking the car and then starting the ignition with our phones is still a relatively new frontier that is, thankfully, gaining speed. Hyundai, using an embedded NFC tag (near-field communication) in the car, has designed a system that allows owners to unlock their vehicle, start the engine and link up to the touchscreen with a quick swipe. Most of us, most times, don’t leave our homes without our phones, and because they are central to our lives, we misplace them less (or at least I do.) Since my phone is always with me, I should, therefore, always have access to the car. The automotive supplier Continental is testing a smartphone app allowing real-time centralized control for access to, and charging of, electric vehicle fleets. Aimed at fast-growing, member-based car-sharing schemes, as well as corporate and government electric car fleets, Continental’s “digital key” is also NFC-based, sending encrypted data to specific smartphones when the vehicle is about to be used. Holding the phone a few centimeters from the receiver — integrated into the windshield or elsewhere — the phone’s SIM card would verify the driver, give access authorization and allow the engine to be started. Aside from the main issue of what happens when your phone is out of power, there are still some obvious kinks, and linking the phone to the car creates almost as many complexities as simplicities. No one will want to take their phone out of their pocket and scan it over a chip in the glass when it’s cold outside, so it’s going to have to work while nested in the pocket. It will have to work in -40C in Edmonton or when the car is covered in snow or if the embedding part breaks off. It will have to be seriously theft-proof and be quickly transferable should the phone be lost, stolen or misplaced. It will have to work equally well for various members of the family or anyone who needs to borrow the car. And it will have to work every single time, without fail, just like an old-fashioned metal key. Bentley's new Flying Spur ultra-luxury sedan may be joined by a "four-door coupe" model. We already know the Volkswagen Group’s ultra-luxury Bentley brand is already developing a large SUV as a fourth model to complement its existing Continental GT two-door coupes and convertibles and Flying Spur and Mulsanne four-door sedans. But now a report from Autocar confirms a trendy “four-door coupe” — in the fashion of the Mercedes-Benz CLS and BMW 6 Series Gran Coupe — will definitely join the lineup as well. “With the new Flying Spur (pictured here), we have a model that supports the Mulsanne, and a coupe with four-doors could sit below that,” says Bentley CEO Wolfgang Schreiber. Based on the Continental GT, the new model won’t arrive until after 2016. In between, Bentley will launch its new SUV by 2015, of which Schreiber says he already has 2,000 pre-orders for. When my friend Dale, a rancher in Saskatchewan, went to replace his GMC Sierra – a dually with the Duramax diesel and the towing power to haul a massive horse trailer – he spent a year studying the order guide. That was a year spent making sure he got just the right combination of features and capabilities in a rig he’d live with for the next decade. Leonard, a friend from Edmonton, couldn’t wait to show me his Ram Crew Cab. When the snow flies, he stuffs his “sleds” – snowmobiles – in the bed and his gear in the back seat, then heads to the back country for a little hunting. No, a lot of hunting. Days of it camped in the snow. Those are his passions: the Ram and hunting with his pals and his boys. Rob uses his Ford F-Series to tug around his ski boat, back and forth from Vancouver to Canada’s only real desert, Osoyoos. Like Dale and Leonard, he can recite every spec, from horsepower to tow rating. He also keeps on top of any service bulletins, alive to any chance of getting some “goodwill” work done for free. And he’d never own any pickup other than a Ford. My point? Scrap the common wisdom that says we are a nation in love with runabouts. At best, that’s only a half-truth. Yes, we buy small cars in big numbers, but only because we must; it’s what we can afford, and it’s what makes sense for urban dwellers living in big, traffic-clogged cities like Toronto. Not all of Canada lives in Toronto, though. The truth is, when Canadians sink major coin into a vehicle, most of the time, their affection isn’t aimed at a sports car, a luxurious sedan, or an economical hatchback. No, if Canadians are in love with one particular type of vehicle more than any other, it is the full-size pickup. Dale, Leonard and Rob represent hundreds of thousands of Canadians who every year sink tens of thousands into a big pickup with commitment and, yes, affection. These guys and their ilk are the object of the abiding affection of car companies, too – particularly the Detroit Three, who despite the best efforts of Toyota and Nissan, and a half-hearted whiff from Honda, own the Dales, Leonards and Robs of the world. Together, the Detroit Three control about 93 per cent of the full-size pickup market, a segment that accounted for about 16 per cent of all the new passenger vehicles sold in Canada last year. Yes, Toyota Motor has revealed a redesigned Tundra and Nissan Motor also is updating its Titan truck, but they are blips on the landscape. And it’s not just the size of the market here that matters. It’s the richness. When Dale specs out a pickup, the final price reaches $60,000. Leonard’s last Ram topped $40,000. And Rob sank $30,000-something into his F-Series. That’s real money and it explains why Ford, General Motors and Chrysler so fiendishly defend their pickup turf. This is where the profits are. This spring, the pickup wars we’ve seen over the past few years – wars marked by some generous discounting – are about to become heated up the likes of which we’ve never seen. By fall, when General Motors launches all-new versions of the Sierra and the Chevrolet Silverado for 2014, the Detroit Three will have already been firing broadsides at one another for months. It is unusual for car companies to dig in with direct assaults like this, but the stakes are too high to play nice. GM has been losing market share to its rivals and that’s devastating to a company desperate to goose its profits and share price, thereby speeding up efforts to shed the tag of Government Motors. Ford has been remarkably successful at pushing fuel economy into the pickup conversation, what with its EcoBoost V-6. In Canada alone last year, Ford sold nearly 107,000 F-Series trucks, an all-time record for any make or model or type of vehicle. The Ram, meanwhile, was reinvented for 2013 with an eight-speed transmission that allowed it to claim outsized fuel economy numbers, too. GM will have the oldest design in the segment only for a few more months. Then the broadsides will fly in ways you cannot imagine. Large pickups, says Sliverado chief engineer Jeff Luke, are the “backbone” of the American economy. What he doesn’t say is that large pickups are the backbone of GM’s economy, too. GM needs them to spin up outsized profits. And so do Ford and Chrysler. According to Morgan Stanley, 90 per cent of Ford’s global profits come from pickups. For GM, it’s two-thirds. That’s why you’re going to see Ford bring out the heavy artillery as it faces an assault from the new 2014 Chevy and GMC picks that arrive this fall, about a year after a major Ram 1500 refresh. Some time later next year, Ford has a remake of the F-Series planned, as well. We saw hints of it in a brawny new F-150 concept at January’s Detroit auto show. The production version is set to arrive in the middle of next year, or thereabouts. Which means the fighting will carry on savagely for months to come. Pickups are that important to Detroit. In short, the Detroit Three know all too well the importance of this pickup truck love affair. It’s wide and its deep and it’s rich in more ways than one. And it means war. One million Ford Mustangs have rolled off of the assembly line since the automaker started producing the popular muscle car at its Flat Rock Assembly Plant in 2004. Ford is celebrating this achievement as year 50 of continuous Mustang manufacturing gets under way at the Flat Rock, Mich.-based facility. The car was built at Ford’s Rouge factory, just a few minutes from company headquarters, for four decades before moving a few miles south to Flat Rock. Canada's heft as a maker of automobiles is shrinking, and a new analysis of the world's car industry from Scotiabank suggests we're barely in the Top 10, leapfrogged by Thailand. In his monthly report, the bank's economist Carlos Gomes says concerted efforts by the Thai government to build up production seem to be working, as the Asian nation produced 68 per cent more cars in January 2013 than it did the same month a year earlier. Unlike Canada, which exports most of its cars, some 60 per cent of Thai-made vehicles are for the domestic market. And booming demand thanks to a new-car buyer's rebate that the Thai government has implemented until June 2013 is pushing the country to make even more cars to keep up with demand. The Thai Federation of Industries expects vehicle production to jump 43 per cent in the first quarter of 2013, and a government official recently stated that Thailand could build 2.8 million vehicles this year, up from 2.4 million last year. "This would enable car and truck production in Thailand to leapfrog past assemblies in Canada," Gomes wrote. He suggests the country could be making 3 million cars a year by 2015. Gomes's assessment jibes with official data from the International Organization of Motor Vehicle Manufacturers, which shows Canada barely held on to its No. 10 overall ranking last year, with 2,463,732 Canadian-built vehicles. Thailand built 2,483,043 vehicles in 2012, good enough for ninth overall. Indeed, Canada has seen its share of the global market slowly erode in recent years. While China remains the world's largest car manufacturer, building 19.2 million cars last year, America held on to second place with 10.3 million vehicles. Canada was the second-largest North American producer for decades, before Mexico eclipsed Canada following the recession. Mexico built just over three million cars last year, good enough for 8th in the world. Overall, carmakers built more than 84 million cars all over the world last year. Synthetic Oil versus Regular Oil - Let's find out what's the difference between synthetic and regular oil? Motor oil is distilled from crude oil. This base oil is made up of some of hydrocarbons anywhere from sixteen to thirty-six carbon atoms that can be hooked together to form a wide range of molecules. The difference between traditional and synthetic oil comes from how this base oil is handled. Traditional oils retain the full range of molecules while synthetic oils are further refined to remove less desirable components like acids and waxes. The American Petroleum Institute separates these oils into classes: Base II and III oils are used in traditional motor oils while Base IV is used in synthetic oils. In America Base III oils that have Base IV additives can also be marketed as being synthetic. Why Are Synthetic Oils Better Than Conventional Oils? Synthetic oils are more resistant to oxydation and acids, increasing service life. Some users have started monitoring the quality of of their oils as they are used so that they are only replaced when necessary.A petroleum product's "cloud point" is the temperature at which solids become visible in petroleum products. Synthetic oils have a lower Cloud point than conventional oils making them suitable for use in severe cold. Synthetic oils reduce friction more than conventional oils. This improves fuel economy and power while reducing part wear. Synthetic oils are also more resistant to burning, lowering oil use and engine soot. Many high-performance and low emissions engines now require synthetic oil to ensure engine sensors stay clean. Can I Use Synthetic Oil In Motorcycles Or Other Equipment With Wet Clutches? Yes. Early synthetic oils would reduce friction to a point that these wet clutches wouldn't engage. Newer Motorcycle-specific oils let these clutches work normally while providing the performance expected from synthetics. Friction modifiers are available to make gear oils compatible with limited slip and locking differentials. Can I Use Synthetic Oil In An Older Engine? Yes. Exposure to oil causes rubber gaskets to swell and remain flexible. Early synthetic oils were less effective causing leaks in engines; newer oils have additives that allow them to maintain or surpass the seal preservation qualities of conventional oil. What Do I Need To Do To Switch To A Synthetic Oil? Conventional oils can be replaced by synthetic oils that have a similar weight and service classification. Synthetic and conventional oils can be mixed, but the life of the oil won't be longer than straight conventional oil. While it is possible to extend oil life past manufacturer's specifications with careful monitoring, oil filter life will not be extended. To find out more about why synthetic motor oil is good for your vehicle go to ByLandOrSea.com. Amsoil synthetic motor oil and other AMSOIL products to help you keep your vehicle in top condition. A helpful guide to explain some of the key terms associated with car engines. Anyone looking to lease or purchase a new car will know that it is no easy feat. From carbon emissions to colour, there are so many elements to consider that it can be easy to get lost, particularly when it comes to car engines. 1.8 litre, V6, four cylinder, 16 valve, 156bhp; there are so many different statistics related to a car engine that unless you’re a mechanic you’re bound to get overwhelmed. Although car engines are one of the most complex parts of a car, in reality you don’t have to have a degree in car mechanics to work out exactly what you’re getting engine-wise when you acquire a new car. The first thing you’ll probably come across when looking at a new car engine is the litre size of the engine. From 1.0 litre right through to just under four litres, there are a wide array of engine sizes on offer in today’s market, with the larger engines appearing in larger-sized vehicles and vice versa. The size of the engine simply refers to the amount of fuel you can fit into your engine. Although larger engines tend to provide more power, smaller engines do tend to be more economical in terms of mileage are usually cheaper to fill up. Quite often you’ll probably hear someone refer to an engine as a ‘V6' or four cylinder engine – this simply relates to how many cylinders the engine has and how they are arranged within the engine. In simple terms, the engine’s cylinders contain pistons which pump and affect the power of the vehicle – the more cylinders you have, the more powerful the engine will be. Similarly, the number of cylinders your engine contains will also affect how they are arranged – if an engine has four cylinders they are usually lined up in a row (‘inline’), however if an engine has six or eight cylinders they are usually arranged in a ‘V’ shape (‘V6', ‘V8'). You may also hear an engine referred to in terms of valves. Every engine cylinder has at least two valves – one for the intake of air and fuel, and one for exhaust products. By changing the number of valves in each cylinder you can control how effectively the engine takes in fuel and air – increase the number of valves in each cylinder and you could potentially affect how efficient and powerful a car is and how effectively it performs. Finally the ‘bhp’ of an engine refers to how much brake horse power it has, or in effect how powerful it is. In effect, this means that the more bhp a car has, the more powerful it will be and vice versa. If horsepower was the automotive trend of the 2000s, safety is the de facto hashtag for automotive manufacturers for the 10s. While Volvo made itself a household name by being a brand synonymous with safety, it is only of late others are starting to put things like collision avoidance, early braking systems and their ilk front and centre. It’s hard to remember that only 20 years ago, Chrysler’s Lee Iacocca actually campaigned against putting driver’s side airbags in cars. But that’s changed now. From Toyota’s STAR safety system to the manufacturers who have licensed Volvo’s blind spot information system (BLIS), everyone is taking full advantage of technology to make vehicles safer. Subaru has long held up its symmetrical all wheel drive system to the masses as their greatest technology but there’s a new kid on the block at the six-star manufacturer and it goes by the name EyeSight available on its Legacy and Outback models. EyeSight makes use of stereo cameras that act similar to the human eye to enact its safety features. It was announced at last year’s New York Auto Show and turned some heads in the technology industry as well as those of safety advocates for its use of just one sensor and two CCD chips (the type of chips found in digital cameras) to control the whole system. Similar systems that had been developed relied on more sensors which drove up the cost making in accessible to all but the luxury market. The EyeSight system has four main features: adaptive cruise control, pre-collision braking, pre-collision throttle management and lane departure and sway warning. Adaptive cruise control isn’t new to the auto industry but like all the features, it doesn’t use sonar to determine distance–it uses the stereo cameras that act like human eyes. It uses the cameras for all four elements with the main advantage that it can tell the difference between steam rising from a manhole cover and an actual man. Sonar has a hard time telling the difference sometimes. Lane departure and sway warning gives gives you an audible alert when you start to move out of your lane. You can turn this feature off on its own without affecting the other features and there were times you might be tempted especially if you live in an area with street car tracks. There are times EyeSight recognized streetcar tracks as lane lines causing the alert to go off. Pre-collision braking and pre-collision throttle management work to stop you from hitting stuff in front of you. The former is designed to gently brake the vehicle and eventually stop it completely when EyeSight sees an imminent collision. Audible and visual alerts as well as actual braking all warn you there’s danger, Will Rogers, danger. Pre-collision throttle management cuts power when you find yourself in a daze and accidentally start accelerating while the vehicle in front of you is still stopped. A fifth feature which is particularly neat is an alert that sounds when a car in front of you has started accelerating in stopped traffic and you’re at a stand-still. It’s not so much safety as it is an embarrassment saving feature.